2018 Jerez WorldSBK Test Day One Results—Jonathan Rea (KRT) was again top of a testing timesheet but this time around, in the shape of new WorldSBK rider Alvaro Bautista (Aruba.it Racing Ducati) and the official new Panigale V4R, Rea had some relatively close company. 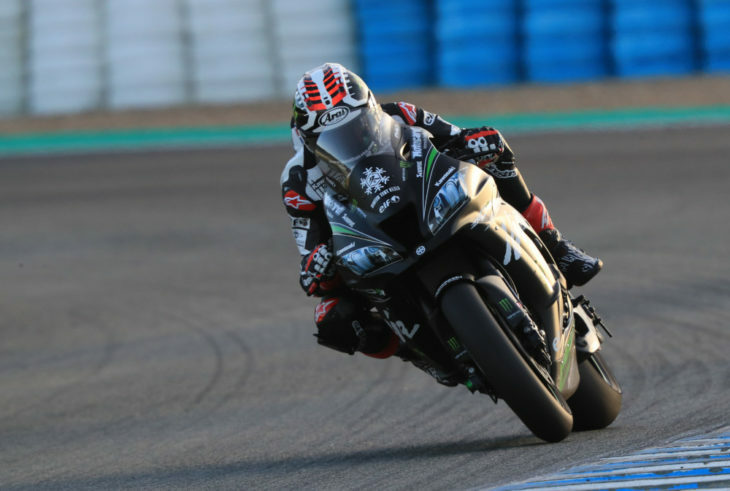 Bautista set over 60 laps on his first day as a WorldSBK rider, impressing all with his pace on his first ride on Pirelli tires, ending up just 0.322 seconds behind Rea. Chaz Davies (Aruba.it Racing Ducati) was third fastest in day one, just ahead of the top Yamaha runner, Alex Lowes (Pata Yamaha WorldSBK). Leon Haslam (KRT), in his second test on the official Kawasaki machine, scored fifth place. A new WorldSBK team, GRT Yamaha, saw their experienced 2019 signing Marco Melandri go sixth quickest in his first day of action on a Yamaha after being ousted from Ducati recently. Marco was ahead of regular rider Michael van der Mark (Pata Yamaha WorldSBK). WorldSSP Champion Sandro Cortese (GRT Yamaha) was the last of the eight WorldSBK riders on show, 2.3 seconds from Rea. 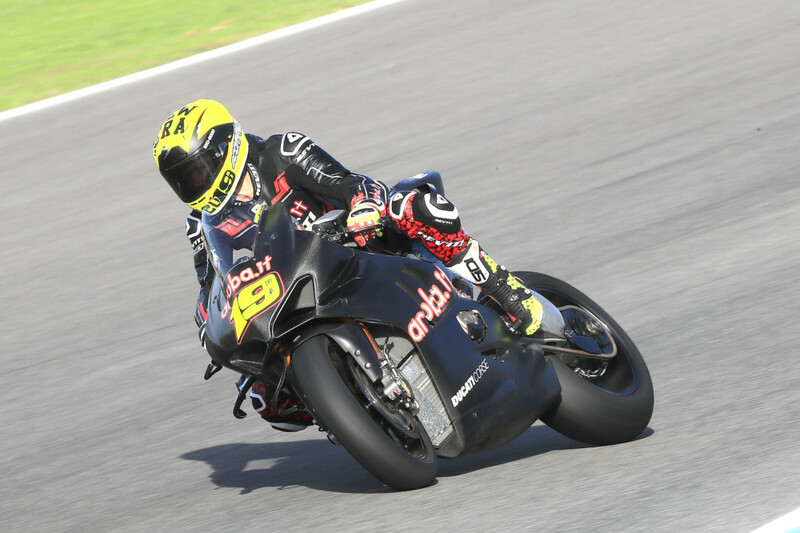 Bautista made an excellent debut on the new V4R Panigale. Ayrton Badovini (Kawasaki, WorldSSP) 1:47.820.